Liam O'Connor should have died at sea in 1912. Maddy Carter should have died on a plane in 2010. Sal Vikram should have died in a fire in 2029. But all three have been given a second chance - to work for an agency that no-one knows exists. Its purpose - to prevent time travel des... read full description below. Liam O'Connor should have died at sea in 1912. Maddy Carter should have died on a plane in 2010. Sal Vikram should have died in a fire in 2029. But all three have been given a second chance - to work for an agency that no-one knows exists. 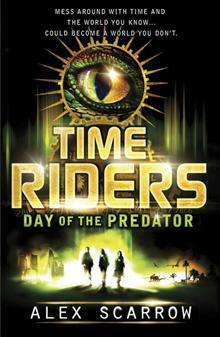 Its purpose - to prevent time travel destroying history ...When Maddy mistakenly opens a time window where and when she shouldn't have, Liam is marooned sixty-five million years ago in the hunting ground of a deadly - and until now - undiscovered species of predator. 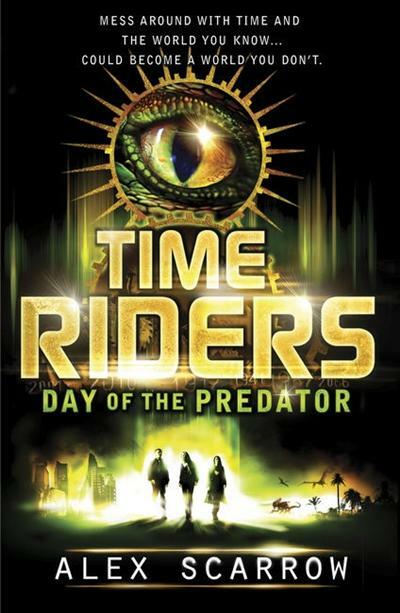 Can Liam make contact with Maddy and Sal before he's torn to pieces by dinosaurs - and without endangering history so much that the world is overtaken by a terrifying new reality? Alex Scarrow used to be a rock guitarist, then he became a graphic artist, then he decided to be a computer games designer. Finally, he grew up and became an author. He has written a number of successful thrillers and several screenplays, but it's YA fiction that has allowed him to really have fun with the ideas and concepts he was playing around with designing games. Alex lives in Norwich.%%%Alex Scarrow used to be a rock guitarist, then he became a graphic artist, then he decided to be a computer games designer. Finally, he grew up and became an author. He has written a number of successful thrillers and several screenplays, but it's YA fiction that has allowed him to really have fun with the ideas and concepts he was playing around with designing games. He lives in Norwich with his son, Jacob, his wife, Frances, and two very fat rats. %%%Alex Scarrow used to be a rock guitarist, then he became a graphic artist, then he decided to be a computer games designer. Finally, he grew up and became an author. He has written a number of successful thrillers and several screenplays, but it's YA fiction that has allowed him to really have fun with the ideas and concepts he was playing around with designing games. He lives in Norwich with his son, Jacob, his wife, Frances, and two very fat rats.